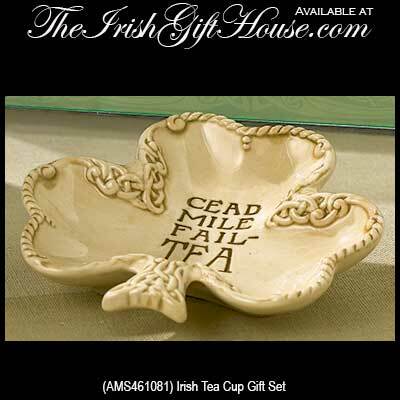 Irish teacups are a brilliant way to serve a cuppa tea. 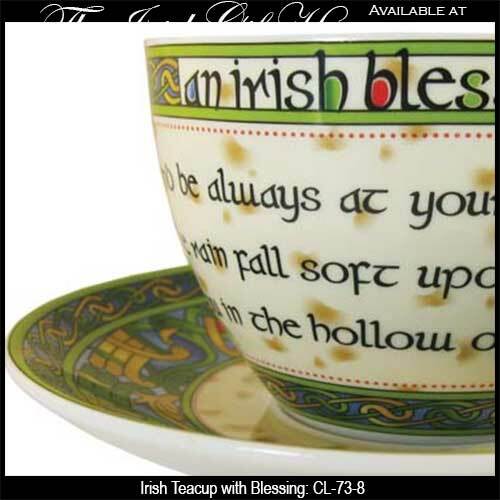 The Irish Gift House features a colorful Irish blessing teacup and saucer along with a gift set that is enhanced with embossed Celtic knot-work. This Irish teacup and shamrock shaped bag holder feature Celtic knot-work along with a witty play on words. Make your brew with a hot cup of Bewley's Tea; The Irish Gift House stocks their Irish Breakfast Tea and Dublin Morning Tea blends. You may wish to serve these blends in one of our Irish teapots or in one of our fine china Belleek teapots. 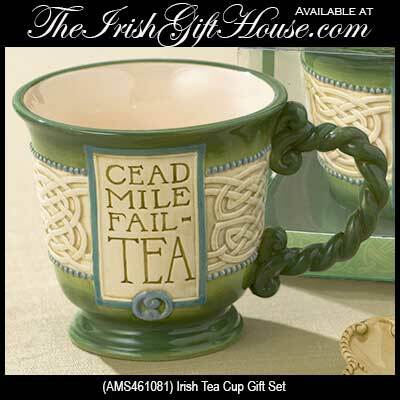 If a hot cup of joe is your beverage of choice you may wish to browse our collection of Irish coffee mugs. We also stock a selection of Irish coffee glasses for serving the famous hot cocktail that was created in Ireland.